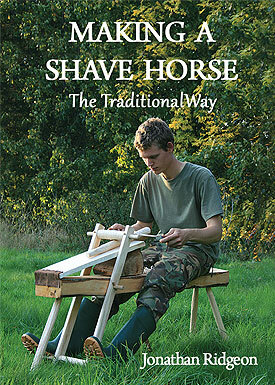 This eBook provides the necessary plans and step by step instructions for you to make your own traditional shave horse. Each stage is covered with the aid of inspirational colour photos. The Shave Horse is a sit-on device typically used by green woodworkers who use draw knives and spoke shaves to shape billets of wood. The pivoted treadle frame allows you to quickly and securely clamp wood at an appropriate working angle. The Shave Horse is extremely useful for the creation of an endless range of miscellaneous objects and parts, such as tool handles, furniture parts, utensils, bows, paddles, barrel staves etc... And even another shave horse! The possibilities are endless. Once you’ve made one you’ll be amazed how often you use it and the making of many craft items becomes so much easier. Delivery to your email after payment within 15 minutes!